Tenth and Elm South Apartment Complex - PWArchitects, Inc. 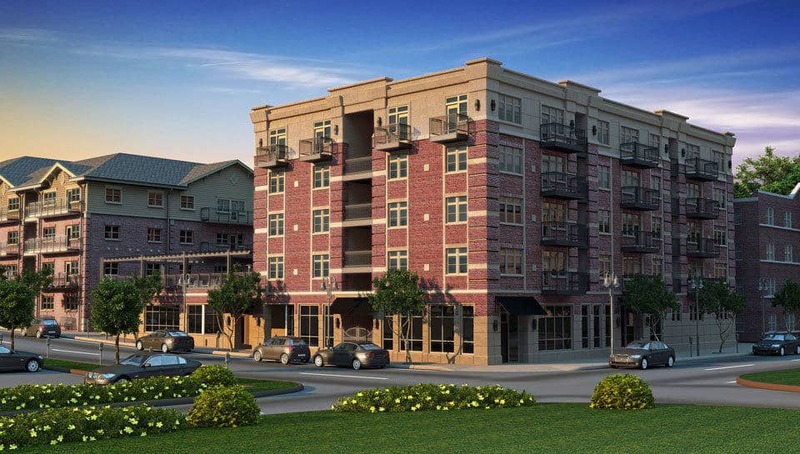 The Brookside Downtown Tenth and Elm South Apartment Complex is a multi-level development with a two-story, 15,000 sq. ft. building that has a commercial space on the lower floor and a pool and private club on the second floor. The development’s second building includes 9,100 sq. ft. of commercial space on the first floor with four stories (33,598 sq. ft. and 27 units) of two and four bedroom residential lofts. 2-story building: 15,000 sq. ft.; 4-story building: 33,598 sq. ft.